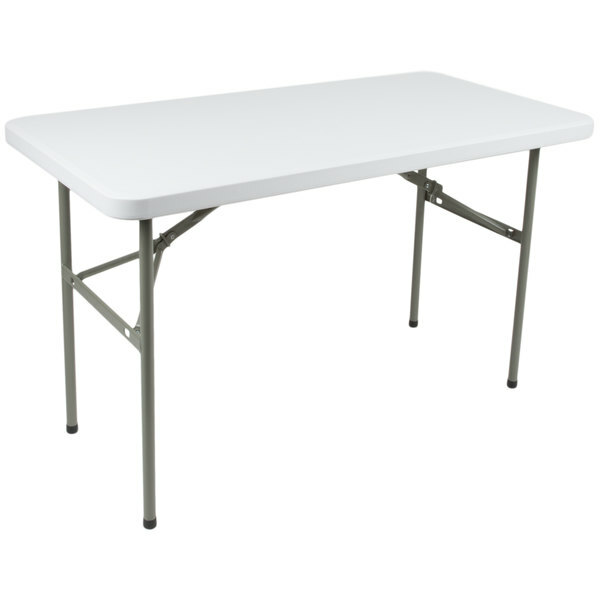 An affordable 24" x 48" heavy-duty granite white plastic folding table from Lancaster Table & Seating is perfect for any business. 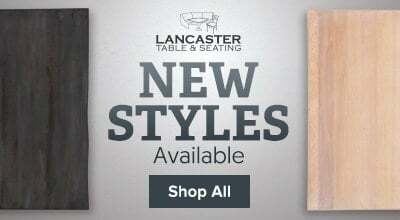 Lancaster Table & Seating's 24" x 48" heavy-duty granite white plastic folding table is a versatile and cost-efficient choice for any restaurant, buffet, school, office, or catered event. 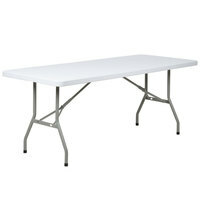 Its high-impact polyethylene body will not crack, chip, or peel, so it can be used in almost any setting. It is also very easy to clean, making it a superior choice to traditional wooden tables. "Nice, heavy duty small table. We use to keep supplies on when traveling in our concession trailer and holds 100+ pounds of product with ease!" 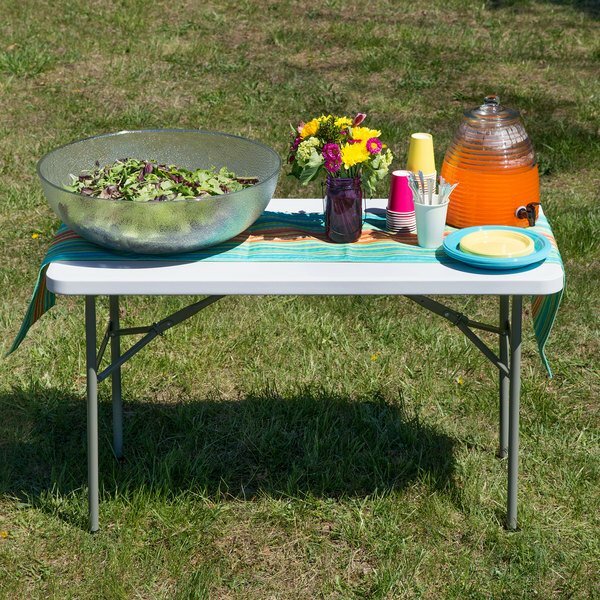 Because this table is made of high-impact polyethylene, it can be used both indoors and outdoors. It also won't peel, chip, crack, or rust, making it an economical and long-lasting choice for any business. 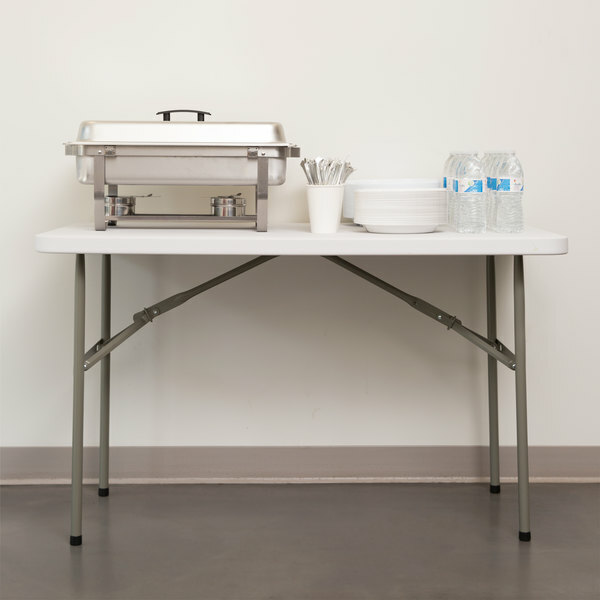 The powder-coated 20 gauge steel frame of this plastic folding table is extremely sturdy and can support heavy chafing dishes and platters. 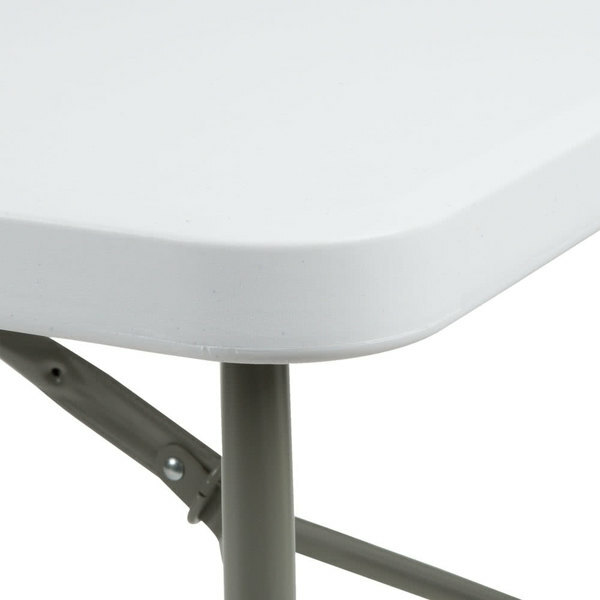 This folding table also features rubber caps on each leg to protect your floors from scratches or scuffs. These caps also offer better traction on wet surfaces. This table's folding legs make storage and transportation a breeze. 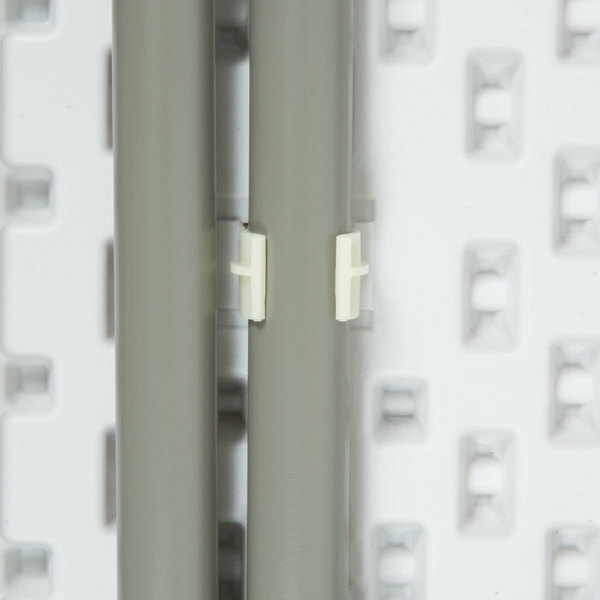 The legs bend at multiple joints, so it can be folded flat and loaded onto a table cart. This table comes with leg-retaining clips. 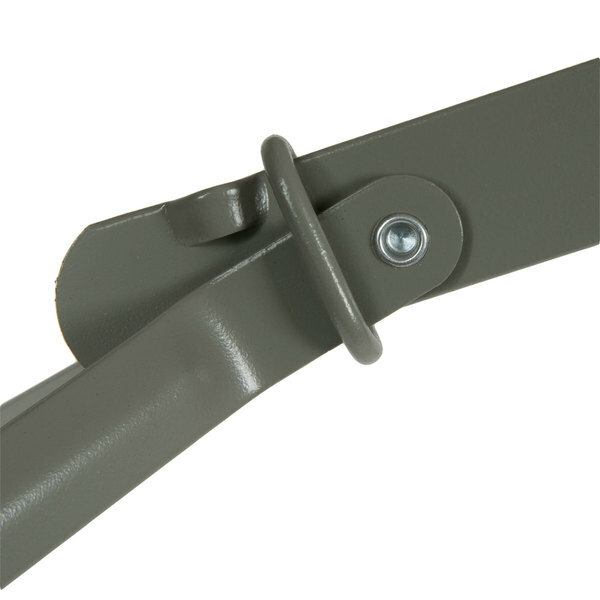 These clips securely hold the legs in place, taking the hassle out of storage and transport. 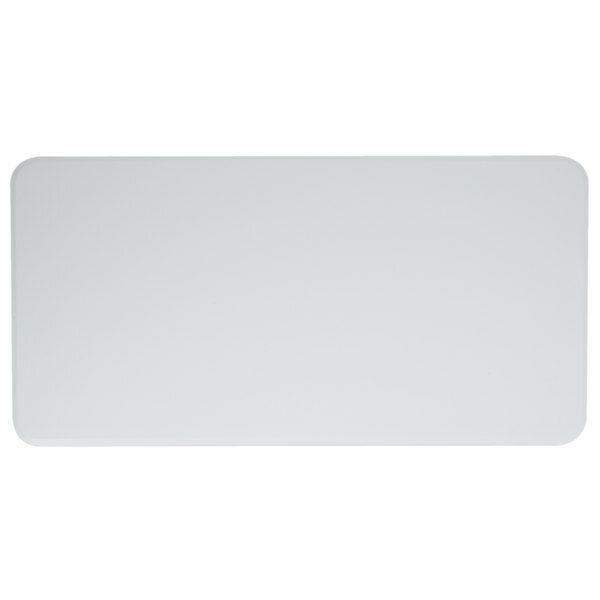 The rounded top of this table provides smooth edges to prevent your patrons from bumping into sharp table corners. Love this table! I homeschool my son who has Autism and this is perfect for him. There are 2 different height levels so as he grows the table can too. We are on the second height right now and it's perfect. The only thing is I wouldn't just use paper to write it has the top is kinda bumpy but he has packets so it doesn't affect his writing. He is happy I am happy so it's great! I think I may have to purchase another just to have when we have cookouts it would be perfect for that as well. Very easy to put up and move heights when you need too. 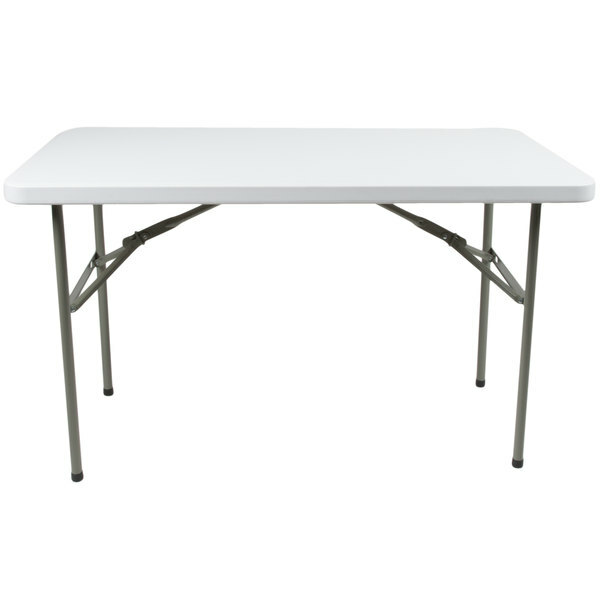 This is the perfect table for a bar or beverage station at your next party! Just pop a tablecloth on it and it looks elegant and sophisticated. It folds flat for storage, too. The perfect table for our space! They are very sturdy and well worth the cost. The only thing I don't like about them is that if you sit anything dark on the table and slide it, it leaves a mark. But, it is a white table, so it's to be expected. Holds up well, stores well, small enough for limited work space. Fairly easy to setup and take down, Not much negative to say. Would buy again. All I can say is Wow! 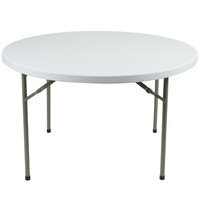 I ordered these tables yesterday afternoon thinking it would be a week or more before they would arrive. They arrived today at about noon. That's crazy fast and everything is exactly correct. 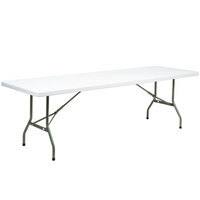 The tables are 48" x 24" folding and I bought 5. They are sturdy and seem to be well built. Just right and super quick on the part of the seller. 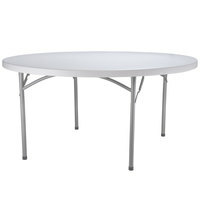 Great quality and size table, we use it in family reunions, they are strong or as help table when we do bbq so its very versatile and usefull!!! 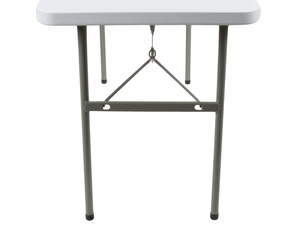 You will find many uses for this handy little table in your home, restaurant, catering business, hotel, etc.. This table is a very convenient size and very sturdy. Thank you! As you can see by the photo, I have this table loaded. Actually I took some of the items off, but it holds true to what the weight limit states. And I love the white color. 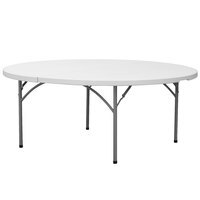 These tables are very handy and surprisingly light for their sturdiness, which is very helpful when setting up for an event. They fold and store relatively easily. Wow! 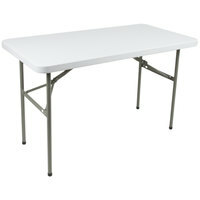 These tables are lightweight and very sturdy loaded up. 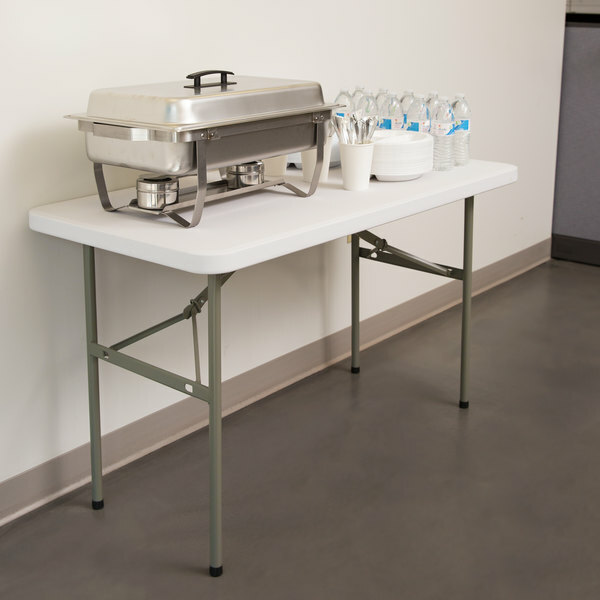 With a table cloth they make a perfect serving area and without, they can be sanitized for great workplace created. I now have several and they fit in an SUV for small events. This table is good little workhorse. It is compact, light, but pretty sturdy for its size. 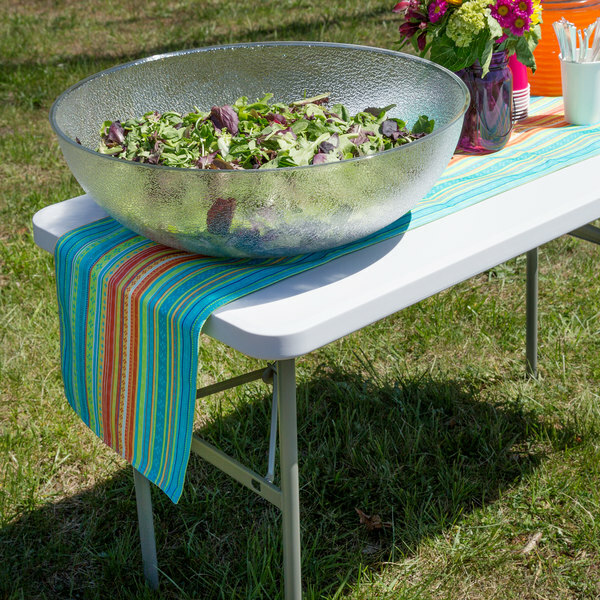 We use it for potlucks when we just need a little extra table space for food. 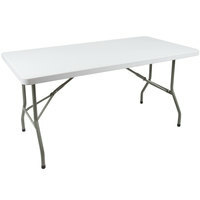 I am very happy with my purchase of the Lancaster Table & Seating 24" x 48" Heavy Duty White Granite Plastic Folding Table. The quality is great and it fits perfectly in my kitchen when I need extra table space. Perfect for parties or events. This table already came assembled! It's super easy to fold up and move, which is exactly what i needed it to be like! It's very light weight and great for travel and carrying! The quality is great, alongside an amazing price! I am very happy with this purchase! This is handy size table to have on hand. I have several 6 foot long tables that are useful, but I always feel like I needed something smaller for a bar/drinks station. This folds away nicely and appears to be well constructed. I would recommend. 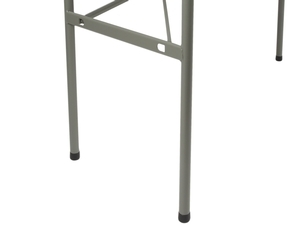 Nice, heavy duty small table. We use to keep supplies on when traveling in our concession trailer and holds 100+ pounds of product with ease!